The $50 Million Fair Park redevelopment is a continuing effort by the City of Birmingham to revitalize the former Alabama State Fairgrounds 82 acres in Five Points West. The project includes athletic facilities, residential buildings, shopping and entertainment venues. The anchor for the redevelopment project is the Birmingham CrossPlex athletic competition and training facility. CrossPlex is home to a 6-lane hydraulic banked running track, and a 50-meter Olympic swimming pool. The facility has been designed to host local, regional and national sporting events. Dunn Construction Company served as one of six General Contractors on the project. For the $1.7 Million Asphalt Paving package, Dunn’s scope of work included curb, fine grading, base, paving and striping. The 82 acre development also includes parking lots and roadways. Dunn installed over 24,500 tons of dense graded base and 14,000 tons of asphalt. Dunn Construction carefully coordinated its work with the other general contractors to ensure that the project would meet its scheduled August 2010 opening date. During the project, all general contractors attended bi-weekly work-coordination scheduling meeting. To ensure that other contractors and subcontractors could perform their work in a timely manner, Dunn was required to maintain access to the building at all times. 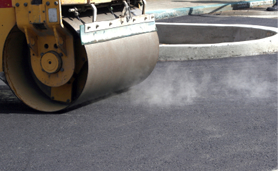 For its work on this project, Dunn was awarded the 2011 Alabama Asphalt Paving Association Quality Pavement Award in the Parking Lots and Commercial Facilities Category.